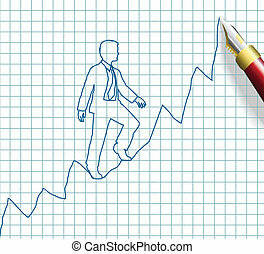 Business man up top company growth chart. 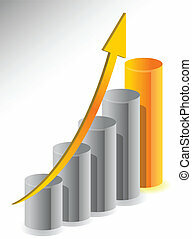 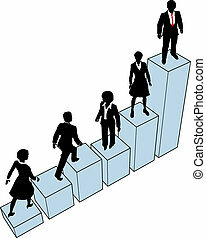 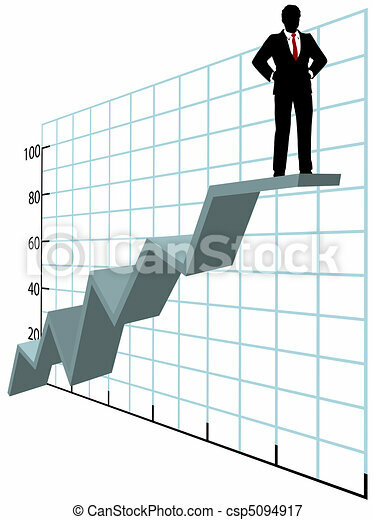 A business man investor or executive stands up on top of a company graph growth profit chart. 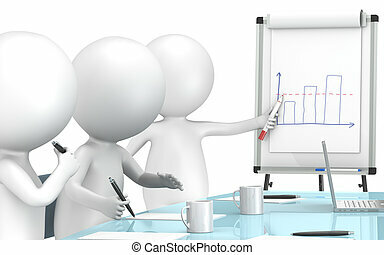 3D little human characters X3 during a Presentation on a Flip Chart. 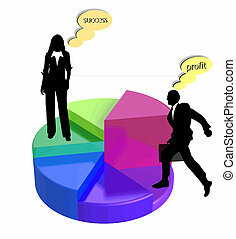 Business People series. 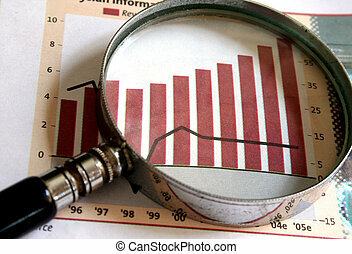 A magnifying glass focusing on a chart in the business section of the newspaper. 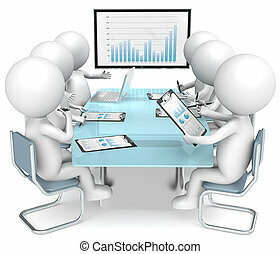 3D little human characters X6 during business review. 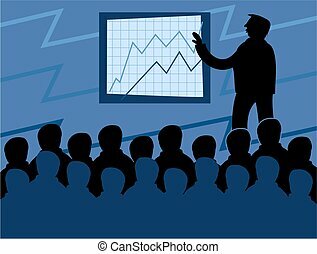 Big screen. 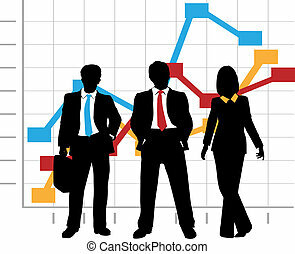 Business People series. 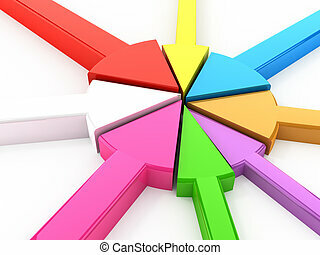 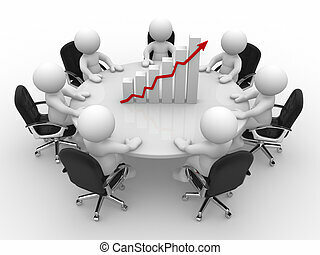 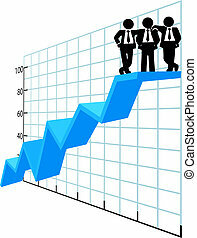 The team at a business chart the company growth in a graph to success. 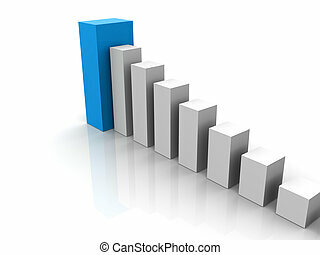 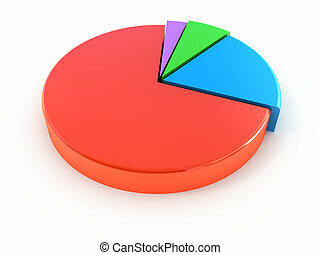 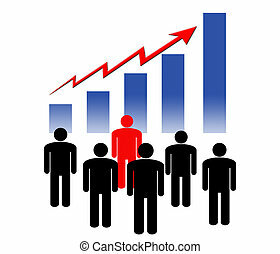 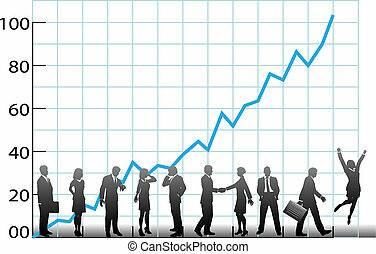 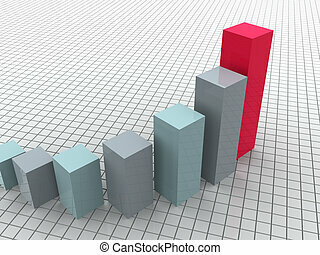 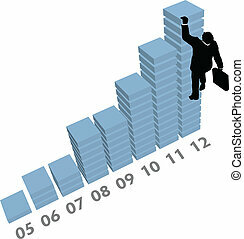 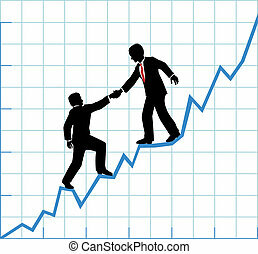 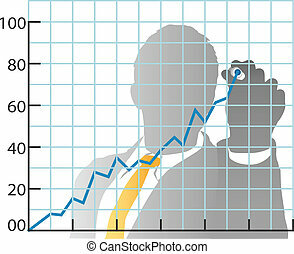 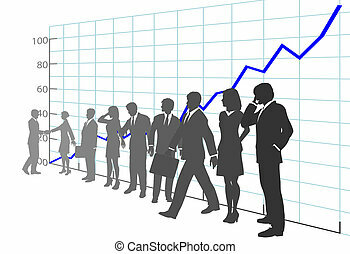 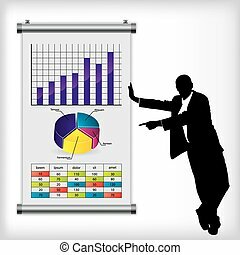 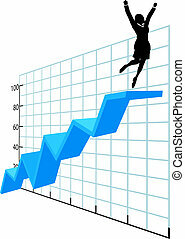 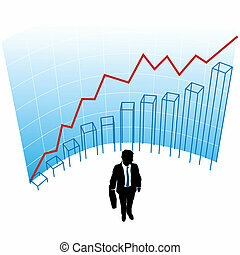 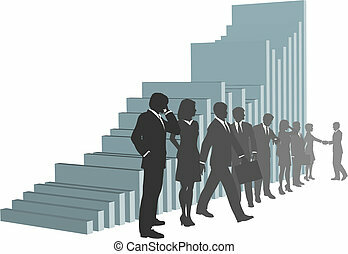 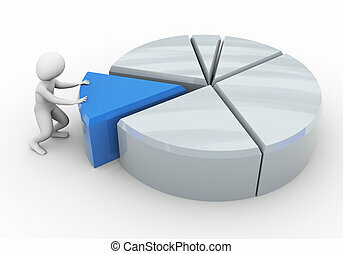 A business man silhouette in a graph chart curve success concept.